Sofia, the capital of Bulgaria and the 17th biggest city in the European Union, is a fascinating combination of old and new. The harmonious coexistence of contrasting historical, architectural and cultural layers gives the city its unique character. Sofia combines exciting urban feel with nature heritage, wealth of mineral springs, abundance of green spaces and mountain scenery. The concentration of universities, the many places to hang out and opportunities for social interaction attract young people with different backgrounds who feel welcome and free to live the life they want. Sofia is a meeting space of cultures with a broad spectrum of festivals and international events and thriving activities every day. The candidature of Sofia for European Capital of Culture is a lifetime opportunity to promote our city in the European and international cultural scene and to create better life for our citizens, businesses and international visitors. Therefore our approach is based on cooperation and common ownership so that the programme concept is openly discussed and designed with Sofia citizens, cultural contributors and international partners. I believe in Sofia's competitive advantages. 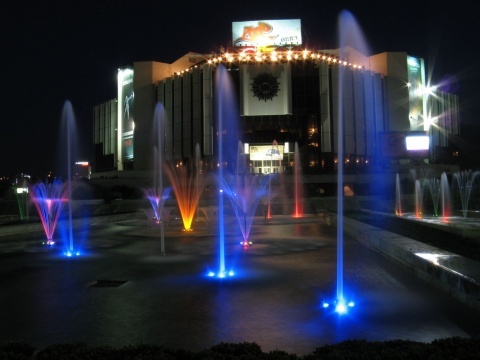 Sofia is one of the greenest cities in Europe with its numerous parks and the Vitosha mountain. The city offers a traditionally warm and welcoming culture, which, supported by a range of entertainment choices, sports and recreational opportunities, combined with the city's strong historical and cultural identity, render Sofia an attractive and livable city. Sofia is a colourful mixture of different cultures, ethnicities and religions, resulting in the cultural asset of a highly diverse and creative population and enormous potential for cultural diplomacy. The active participation of the citizens of the capital in the preparation for the candidacy of Sofia, inspires the creative forces of the city and enhances their creative potential, and this will lead to winning the title for 2019. We have already established an Initiative Committee, which has brought together the professional expertise and personal commitment of over 70 outstanding public figures. We have started a process with a series of public discussions on topics like city cultural infrastructure, opportunities for innovative cultural events, financing instruments for culture. At the moment we are conducting an international logosystem contest for the candidature of Sofia for European Capital of Culture 2019. We have established partnerships with both other Bulgarian city candidates, as well as with Italian city candidates, one of which will be the Italian counterpart to win the title for 2019. Sofia is inspired and committed to invest in its human and cultural capital. We have already gone on the road to success with the forthcoming Sofia conference on European Capital of Culture, which will be held on May 27, 2011. And it will involve European experts, representatives from Bulgaria, Italy and the Balkans.